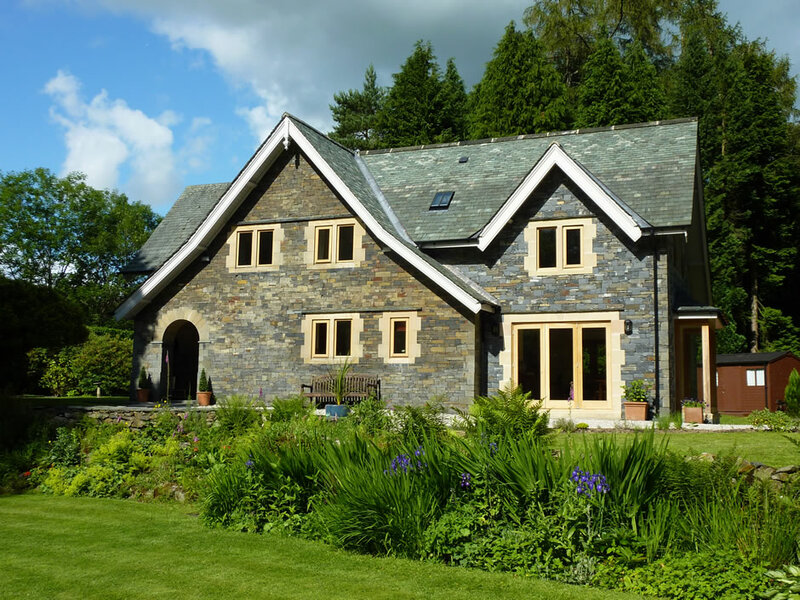 We originally achieved a planning permission at Curfield in 2006 for a replacement dwelling to replace a timber building on the site bounded by woodland outside the main centre of Windermere. 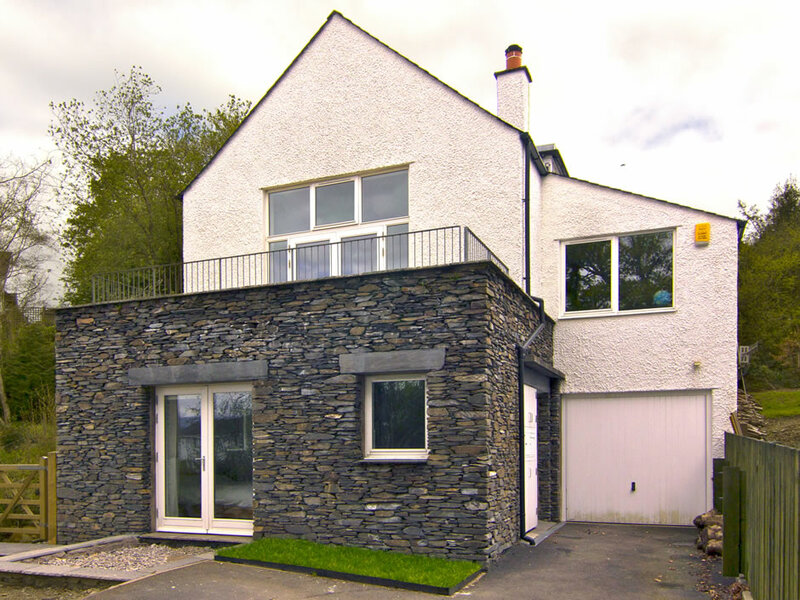 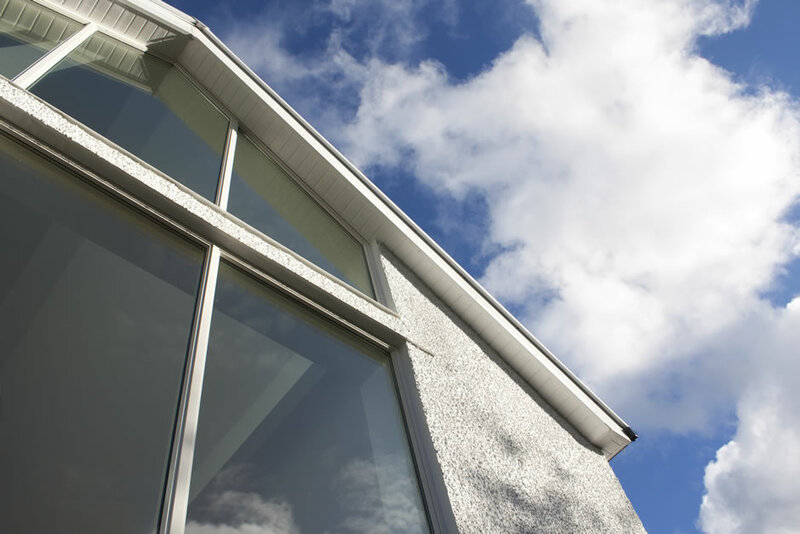 Several years later the same clients asked for a scheme to be prepared for two replacement dwellings, this time including the demolition of the larger masonry bungalow. 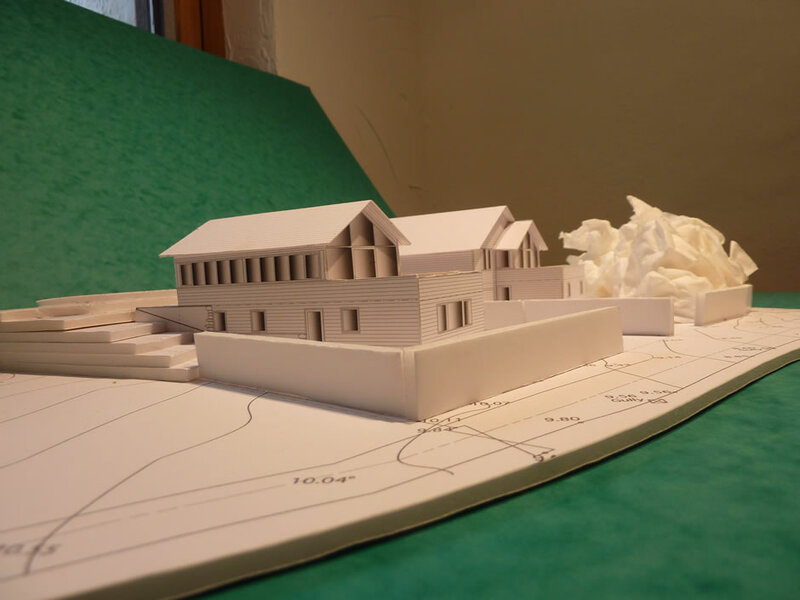 We developed the design principles of the first scheme and were successful in our planning application for one five-bedroom dwelling and one three-bedroom dwelling. 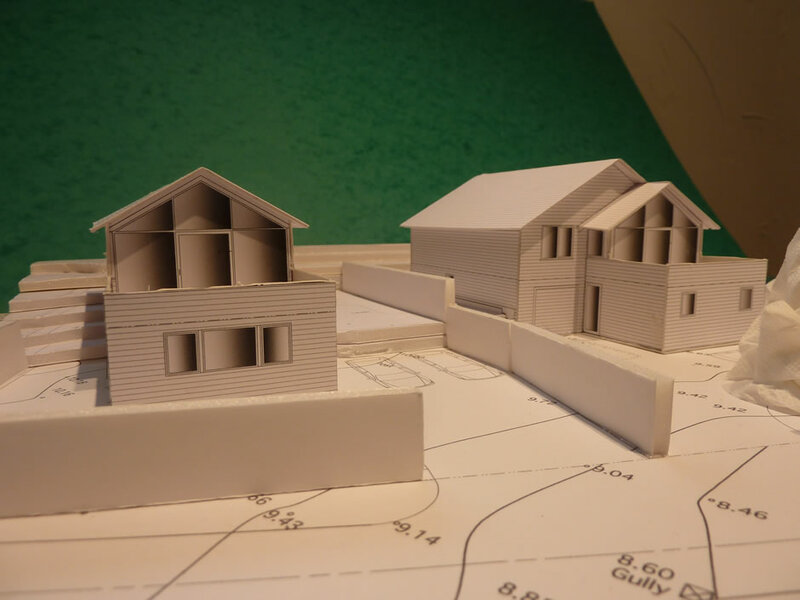 The proposed houses are detached, but are considered as a pair in design terms, siblings perhaps. 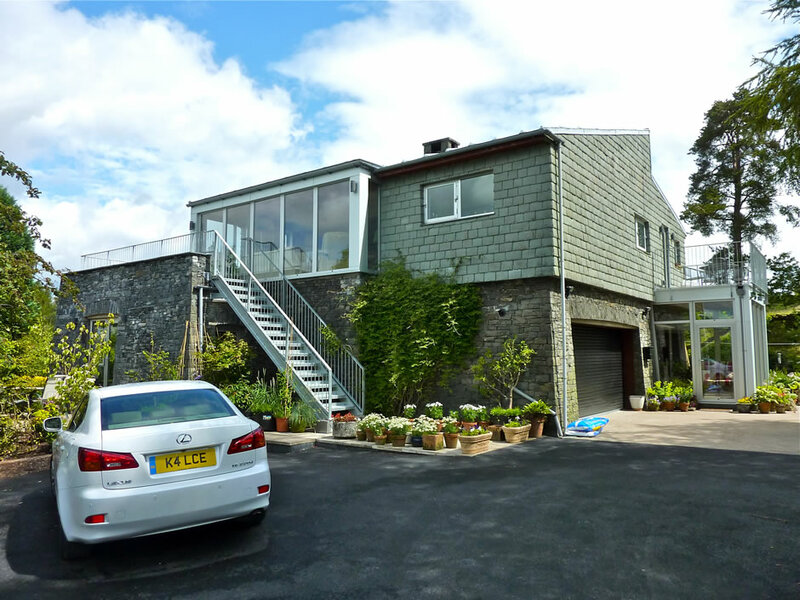 They will use similar materials- cedar cladding to the walls and cedar shingles to the roof- and feature extensive glazing to create light-filled open plan interiors. 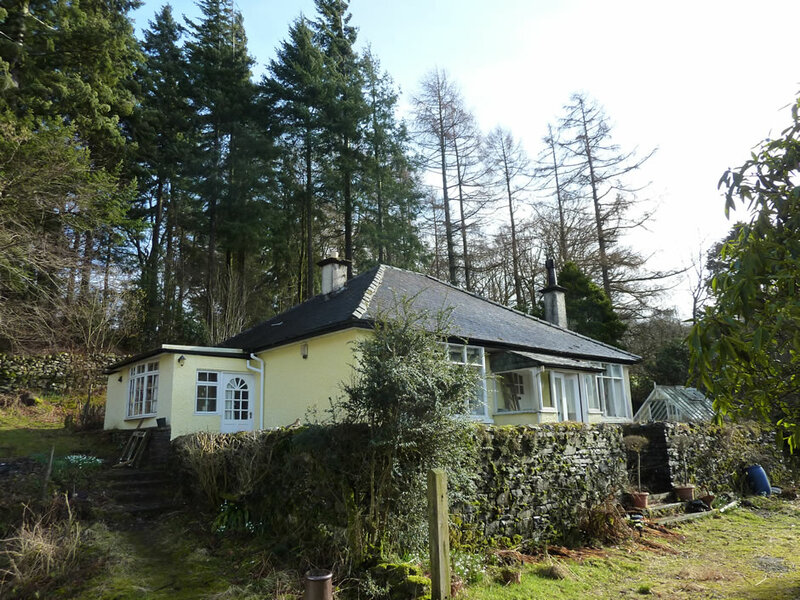 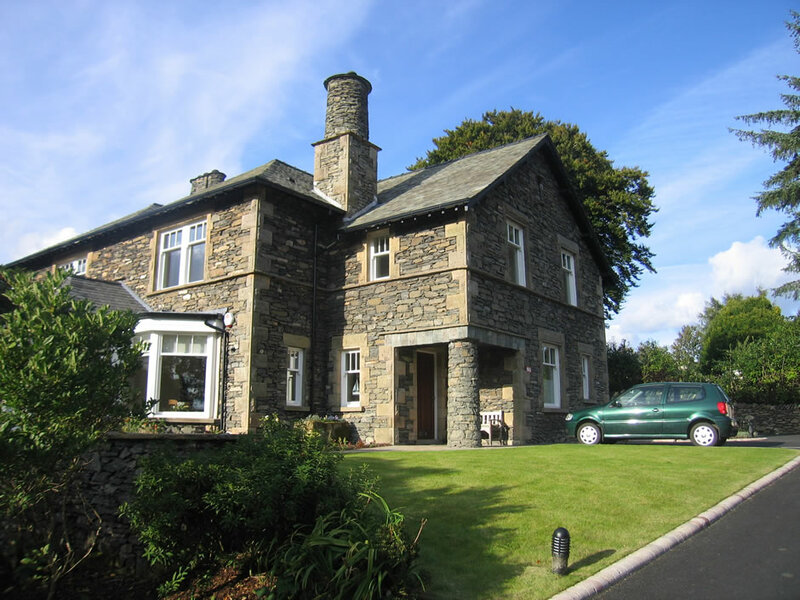 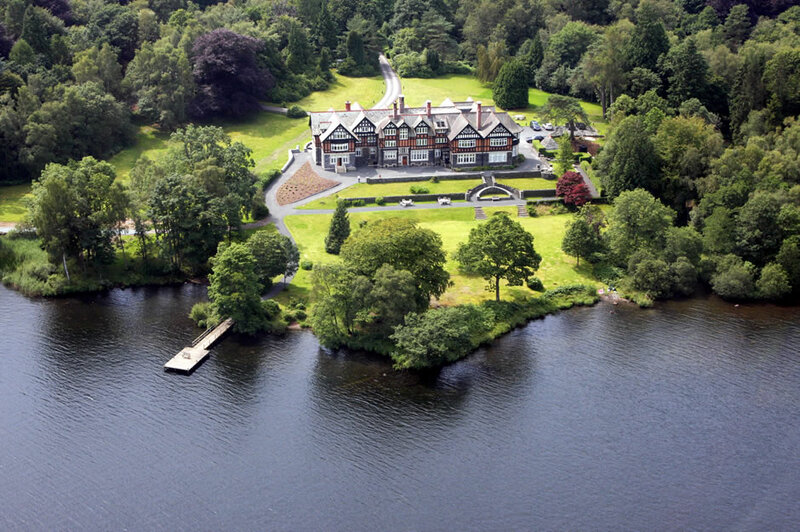 The living accommodation is at First Floor level with views through the woodland to the lake and fells. 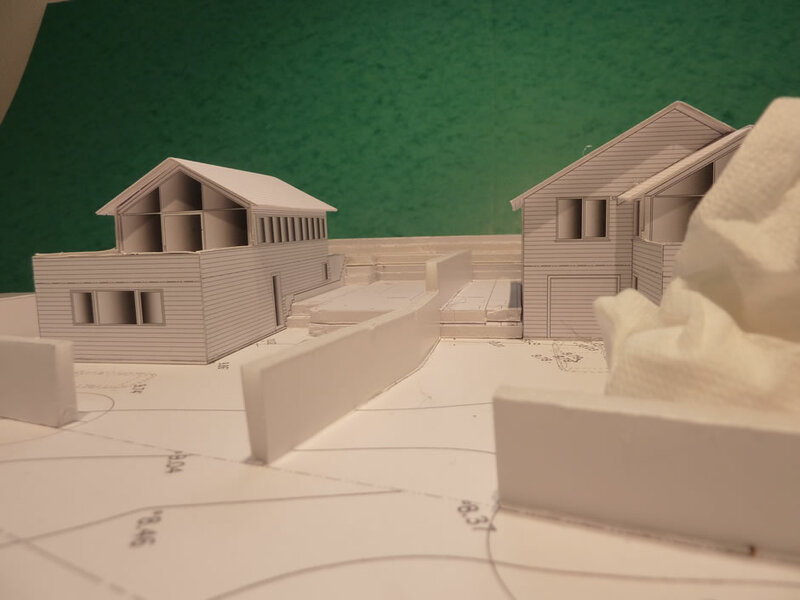 The card model was prepared to assist the planning process and was taken to site for a meeting-‘low tech’, but effective! 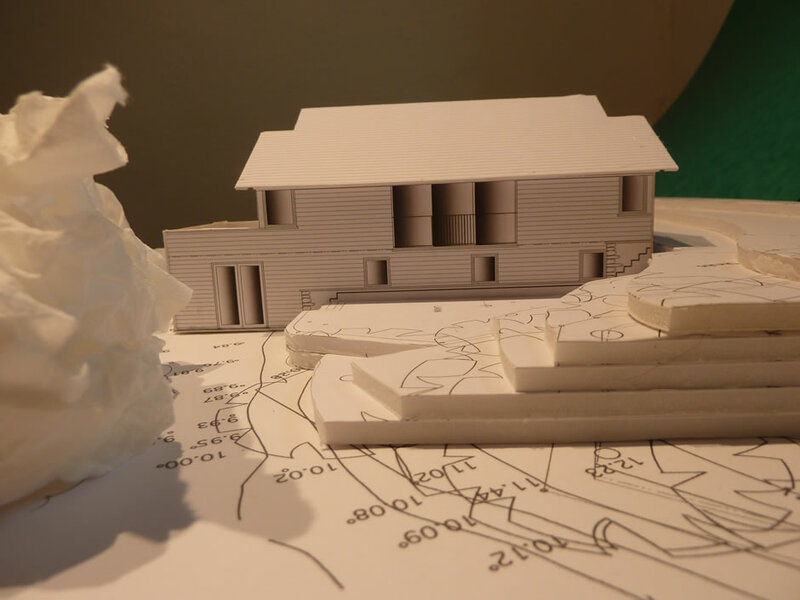 Planning permission granted: 2011.